Enjoy consistency, quality, reasonable prices and great service each time you stay with Microtel Inns & Suites of Sainte Genevieve. We're pleased to be the first economy/budget hotel brand to offer guests free local and long distance calls within the continental United States, and free high-speed wireless (WiFi) Internet access in all of our hotel rooms. These new amenities compliment our other standard amenities including in-room remote controlled flat screen TVs with ESPN, CNN, HBO and an expanded continental breakfast. All this, plus our "Dream Well" bedding which features cozy down-like comforters wrapped between two crisp white sheets, upgraded thread-count linens and extra pillows, make Microtel Inn & Suites the best choice for your next hotel stay. 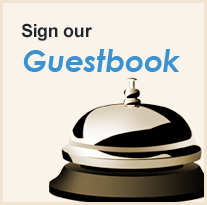 Experience for yourself how Microtel offers the best value and lowest rates for quality, discount hotel accommodations. We look forward to welcoming you to Sainte Genevieve, Missouri. "Nice big breakfast area lots of choices. Great location easy access to grocery stores, shops. Close to downtown . Ended staying 2 nights because it was so clean and had great sleeps. Love the window seat in the room used it alot..."
"The hotel was located perfectly for the activities that we wanted to enjoy while in town. We went hiking at the parks which were less than 10 minutes down the road and we went to dinner in town which was less than five minutes t..."